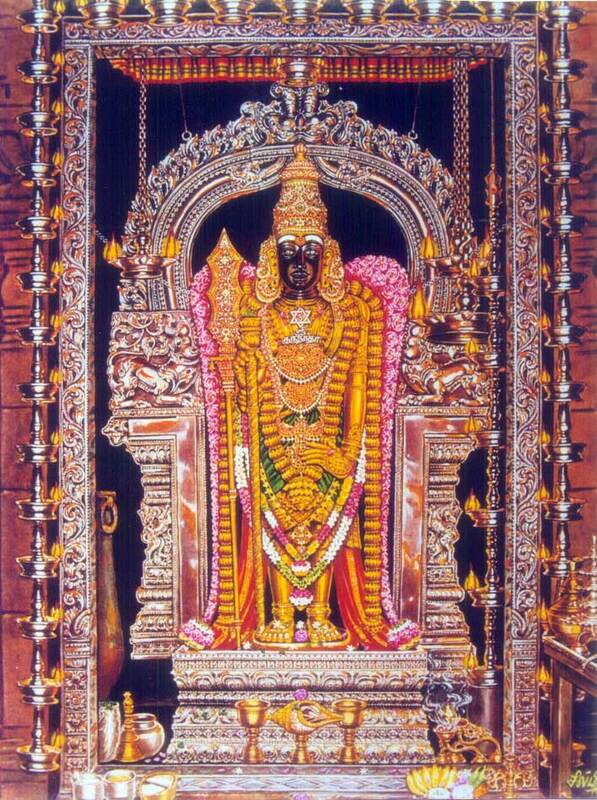 History:This temple is 1000-2000 years old.The temple is one of the six holy shrines of Murugan called Arupadaiveedu.Swamimalai is the 4th Padiaveedu (army camp) of Lord Muruga.The shrine of the presiding deity, Swaminathaswamy is located atop a 60 ft (18 m) hillock and the shrine of his mother Meenakshi (Parvathi) and father Shiva (Sundareswarar) is located downhill. The presiding deity here expounded the meaning of the 'Pranava mantra OM' to his own 'Father Lord Siva'Himself. As per Hindu legend, Brahma, the Hindu god of creation, disrespected Muruga (the son of Shiva) at the time of visiting Mount Kailash, the abode of Shiva. The child Muruga got angry with Brahma and asked him how he was creating living beings. Brahma said that he was creating living beings with the help of the Vedas (Hindu scriptures). On hearing the reply, Muruga asked Brahma to recite the texts from Vedas. Brahma started to recite the text with the holy word called Pranav Mantra, "Om". Muruga intercepted Brahmma and demanded the meaning of the Pranava Mantra Ohm. The Creator could not answer. Muruga pounced on Brahmmas four heads and put him in prison as he was not qualified for the creation job. He began creation Himself. Vishnu appealed to Lord Shiva for the release of Brahmma.Muruga obeyed His father’s order. When Lord Shiva asked the Son to explain the meaning of Ohm, the Young Son explained the meaning in detail, but secretly close to Father’s ears as this is such a holy mantra which the righteous and wise alone should know. The event took place in this sacred soil. As hills are the abodes of Lord Muruga, He is gracing from this hill temple.There are 60 steps to reach the hill temple representing the 60 Tamil Years.The deities of the Tamil years are praying to Lord Muruga in the form of steps. Hence, the Padi Puja (puja for the steps) is conducted on Tamil and English New Year days with coconuts, fruits and singing hymns. Festivals:Monthly Kirutikai festival;Temple Car festival in April;Visakam festival in May;Aavani Pavithrotsavam in August-September,Skanda Shashti festival in October;Tiru Karthikai festival in Nov/December;10 day Navarathri in September-October, Aipasi Skanda Sashti in October-November, 10 day Margazhi Tiruvadirai in December-January, Thai Poosam in January-February, Panguni Valli Kalyanam in March-April are the other festivals celebrated in the temple. Of these, the festivals falling in Chithirai, Karthikai and Thai Tamil months are inaugurated with flag hoisting. Thirupadi festival for the steps is celebrated on the English New Year day. Also, monthly Kruthika star days, Monthly Tamil new days, New moon and full moon days, Sashti days, Visakam star days, Tamil and English New Year days, Deepavali and Pongal are devotionally celebrated in the temple. Travel Information : 5km from Kumbakonam. 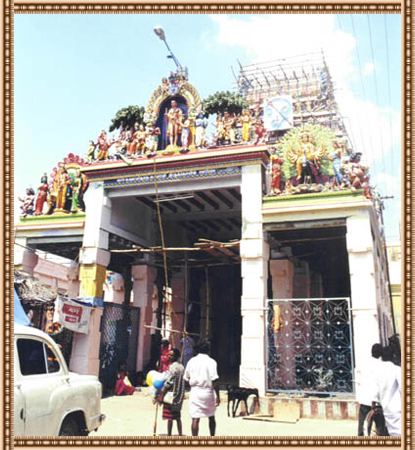 Contact: Sri Swaminathaswami Temple, Swamimalai, Thanjavur district.